Our Bedtime Routine | Tubby Todd | For the Joy of Life. Oaklyn had a really rough start with sleeping when she entered this world. Her days and nights were completely confused. Once we got her to sleep (somewhat) at night, nap time was a completely new challenge. I wanted to establish the difference between bed time and nap time very early on. I have LOVED using Tubby Todd's bubble bath during this part of our routine! Oaklyn loves playing with the bubbles and I love how yummy it makes her bath smell. 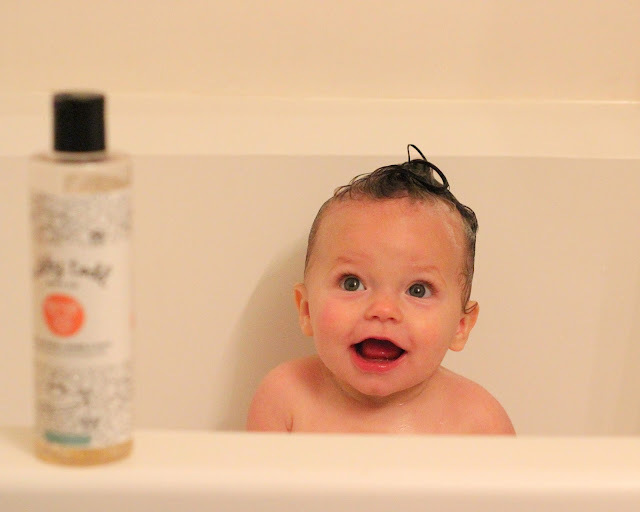 I look forward to watching Oaklyn splash around and laugh during her bath every night. After she is squeaky clean Hunter wraps her up in a towel and takes her into her room to dry her hair while I drain the bath and warm her bottle. Then I come in and put her diaper on and some lotion. 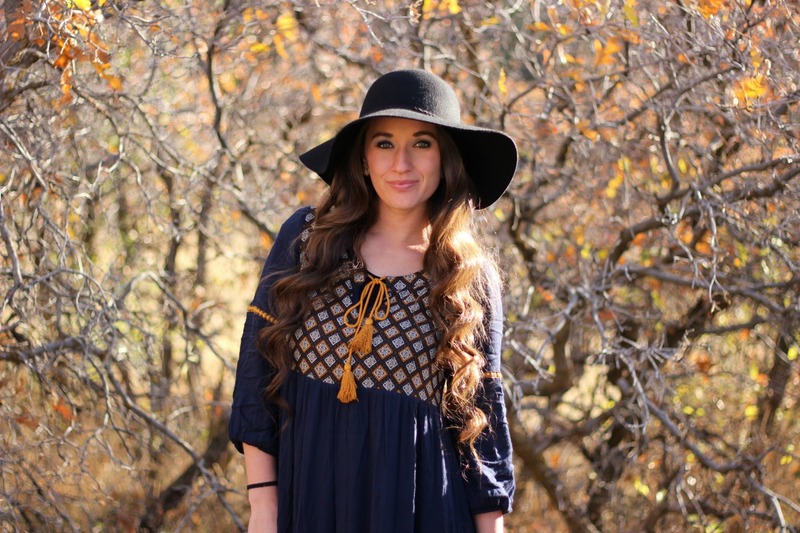 It is SO dry in Utah and Oaklyn has eczema pretty bad. We have found that using Curel brand lotion has worked pretty well to keep her skin hydrated but she has a few rough patches that need some extra love. 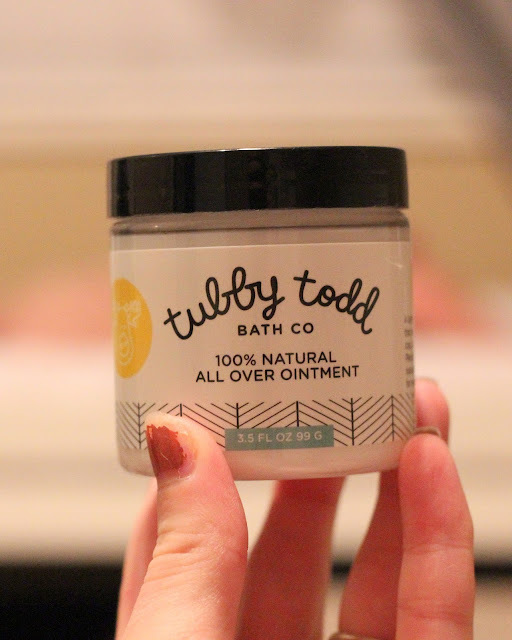 On those spots we use Tubby Todd's all over cream and LOVE the way it heals her dry spots so quickly! It is a thick body butter like cream that smooths away all her rough patches so quickly. What I love about this cream is that it can be used for so many more things than just smoothing rough patches. It can be used for diaper rashes, cradle cap, burns, cuts, and anything else your baby needs to have more comfortable skin. I have been SO thankful for this cream these past few weeks. Oaklyn got a terrible stomach bug and it gave her a super bad rash. I felt so bad seeing how red and tender her skin looked. I was so thankful that I had piece of mind putting the cream on her rash. It really did wonders for her. I make sure to put the cream on every night before bed time. After she has all her lotion on I put her footie jammies on. I LOVE footies! They are not only totally adorable but also keep her nice and warm throughout the night. 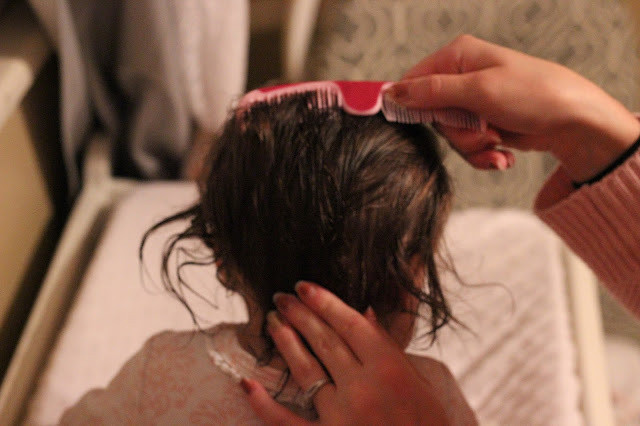 Following her jammies Oaklyn gets her hair combed. I love how much hair this little girl has but it can be hard to maintain! I make sure to comb out all the knots and her little comb over kills me every time! Next up we read her a story, which usually doesn't last very long but hey, I'm glad we're trying! After her story we sing to her. We have sung the same church song to her every night since she was only two months old. She recognizes the tune now and it is SO cute to see how excited she gets when we sing to her. We always sing "I am a child of God" and it is just the most precious song. 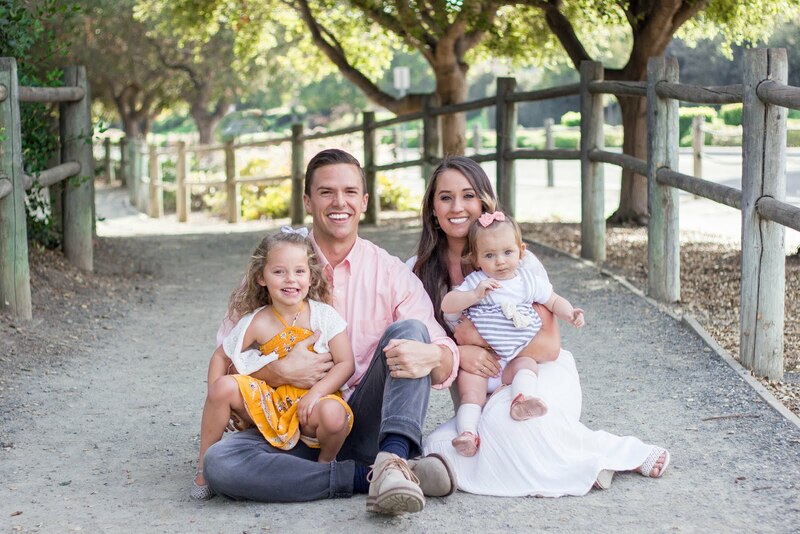 After her song either Hunter or I pray for our little family. Oaklyn needs to work on her reverence during prayers ha, but I love this time we spend praying as a family. After the prayer, Hunter gives his little girl a hug and a kiss then hands her over to me. He turns on her humidifier, her sound machine, closes the curtains, then turns on the lights and I sit in the rocking chair to feed her her last bottle. I love rocking my little girl as she drinks her bottle and her body starts to calm down. I cherish those moments that she is held close to me. Once she is finished, I kiss her goodnight and tell her I love her and lay her down in her crib for the night. When I close the door to her room I always feel a little relieved but also a little sad that I won't be seeing her until the next morning. I love my baby girl so very much and I'm so happy we have this routine established. I love that Tubby Todd is such a fun part of our bed time routine. 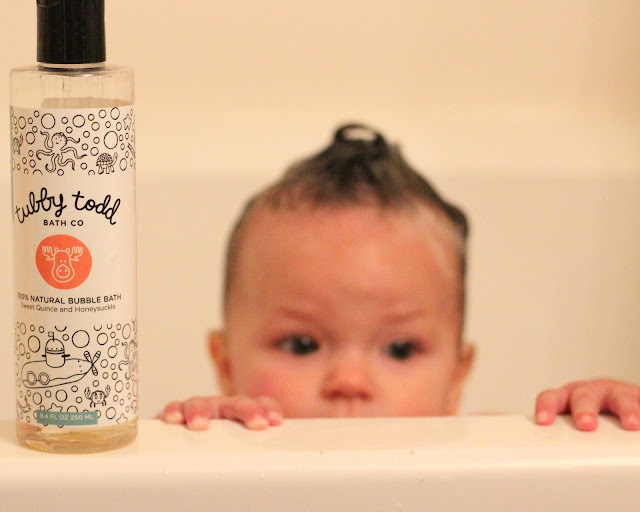 As a first time mom, I'm so happy that Tubby Todd gives me the peace of mind that I'm using good products for her sensitive skin. 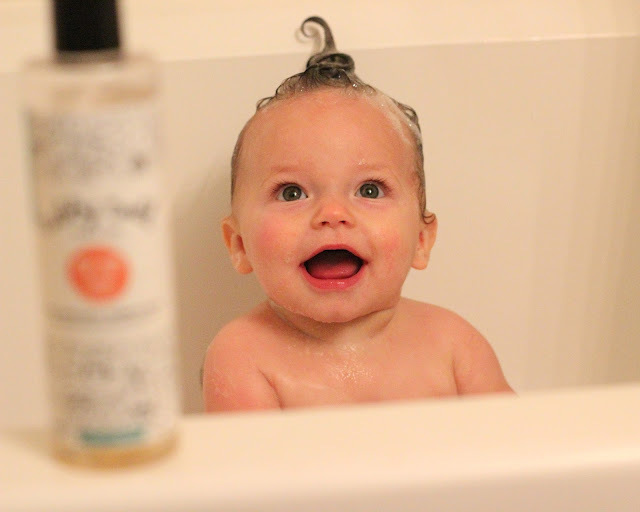 All the ingredients they use are all natural and are safe for even the tiniest baby's skin. I love that Tubby Todd lists all of the ingredients they use so you know exactly what you are using on your child. 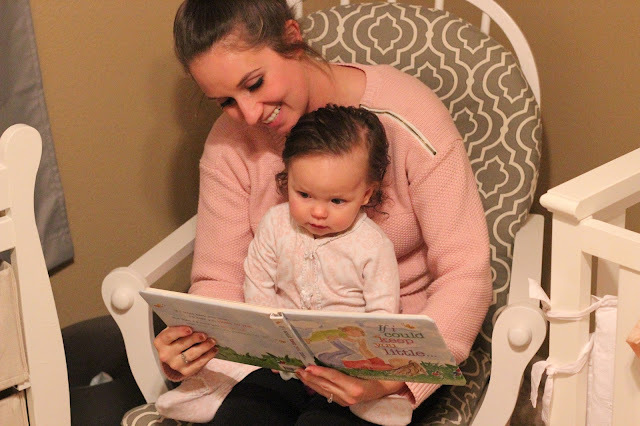 What does your family do for your bedtime routine? She's too precious! Those faces kill me! I'll have to check out Tubby Todd. 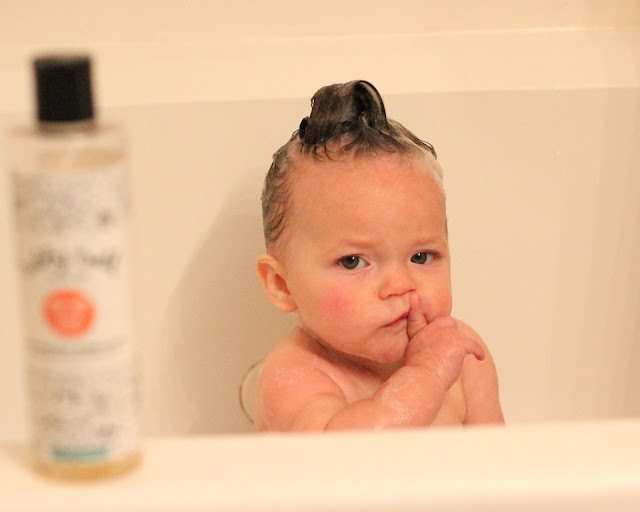 We've been using Honest products since Parker was born.